Murray Rothbard used the “lone crazy” theory to describe the individual who comes out of nowhere and dramatically alters the course of history; perhaps he assassinates a president. The lone crazy could also be an event, such as 9/11. Its essence is surprise, improbability and its transformative nature. The essay “On Civil Disobedience” 1849 by Henry David Thoreau is the literary equivalent of a lone crazy. It recounts his one-night imprisonment for refusing to pay a tax that would have financed the oppression of other human beings – specifically, slaves. It was one man’s statement of “no, I will not participate in evil.” The essay should not have occasioned a second glance. And, yet, its impact reaches across centuries to the present day. It crossed cultures to change the thinking of such pivotal figures as Leo Tolstoy, Mohandas K. Gandhi and Martin Luther King. Why? 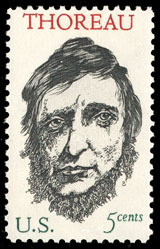 In 1890, the famous publisher Henry Salt issued a collection of Thoreau’s political essays, which included “Civil Disobedience.” Decades later, it was read by a young Indian lawyer in South Africa who was sitting in jail because he protested the government’s treatment of immigrant workers. He was Mohandas Gandhi. In Thoreau, Gandhi found the approach he would use in the subsequent struggle for Indian independence. Years later, he thanked the American people, saying, “You have given me a teacher in Thoreau, who furnished me through his essay on the ‘Duty of Civil Disobedience’ scientific confirmation of what I was doing in South Africa.” By embracing Thoreau’s message and by expanding the strategy of civil disobedience, Gandhi focused world attention on the shy Yankee philosopher who lived without fame in his own nation, in his own time. The tremendous power of one short essay lies not merely or, perhaps, primarily in its message, but in its emotional content. “On Civil Disobedience” is an analysis of an individual’s relationship to the state but it is also Thoreau’s extremely personal response to being imprisoned for refusing to pay a tax. Understanding the powerful impact of the essay requires a glimpse into his underlying philosophy. Thoreau was an integral part of a philosophical movement that was influential in its day. During the early 19th century, New England was the center of an intellectual movement called Transcendentalism. In 1834, while Thoreau was a student at Harvard, the leading philosopher of Transcendentalism moved into his home village of Concord. That man was Ralph Waldo Emerson. There has never been rigorous agreement on the definition of Emerson’s Transcendentalism, partly because Emerson was not a systematic thinker. The philosophy emphasized idealism rather than materialism; it viewed the world as an expression of spirit and every individual as an expression of a common humanity. To be human is to be born with moral imperatives that are not learned from experience but which are discovered through introspection. Therefore, everyone must be free to act according to his conscience in order to find the truth buried within. Read more via The Daily Bell – Thoreau as a Lone Crazy.